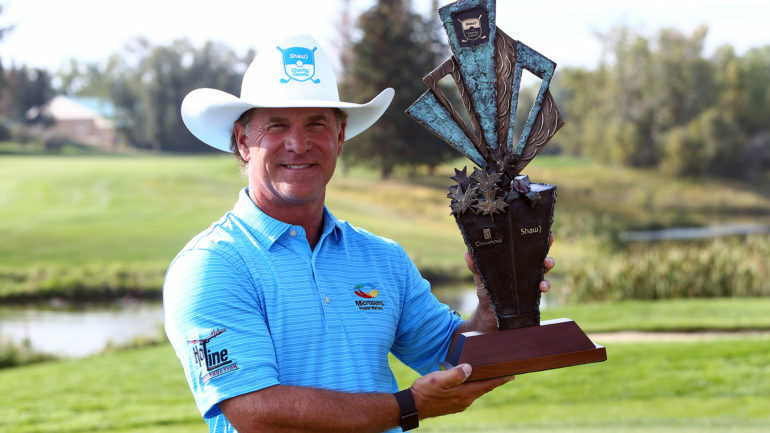 CALGARY – Scott McCarron did it the hard way, but he successfully defended his Shaw Charity Classic title. Although McCarron started the final round at Canyon Meadows Golf and Country Club on Sunday in fourth place, he had five birdies in his first 11 holes before thrilling fans with a hole in one on 14 to vault to the top of the leaderboard with a 7-under 63. 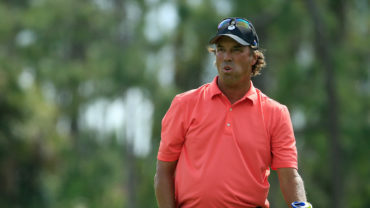 The 53-year-old golfer from Moorseville, N.C., finished with a birdie on the par 5, 18th hole to end the 54-hole tournament at 15-under 195 to take home the winner’s share of $352,500 U.S. It was the first time this season that a player was able to successfully defend his title, and the first time in six attempts that McCarron was able to accomplish the feat in his PGA Tour Champions career. It was also McCarron’s fourth come-from-behind victory in his PGA Tour Champions career and second this season after rallying to win the American Family Insurance Championship in June. “I feel very comfortable just a little behind or in the lead,” he said. “I’ve put myself in that position a lot and I’ve come through a lot. I’ve also failed a lot too. The more times I fail, the more times I learn. Second-round leader Joe Durant shot a disappointing round of 67 on Sunday to finish in a three-way tie for second spot with Kirk Triplett and Scott Parel. “I didn’t feel great hitting it and I kept putting so much pressure on my putting, but eventually I got sloppy,” said Durant, who missed a short putt for par on the 17th hole. Triplett and Durant could have pulled into a tie with McCarron on the final hole, but neither were able to sink lengthy putts. “I hope Scott remembers Joe and I at Christmastime this year,” said Triplett, who started his round with birdies on his first four holes before cooling off and carding a round of 5-under 65. 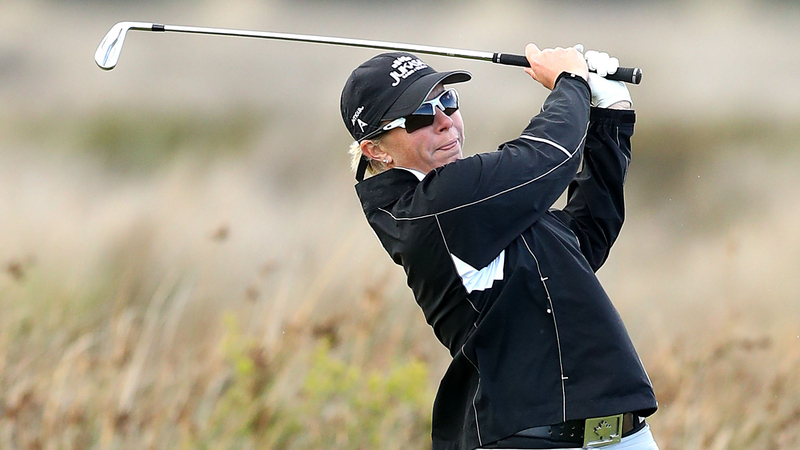 Parel had Sunday’s best round of 8-under 62. He just missed an eagle putt on 18 that would have tied the course record of 61 (held by Miguel Angel Jimenez and Fred Couples) and put him in a playoff with McCarron. Jimenez, who finished one shot behind McCarron last year, shot 67 to end up alone in fifth place. 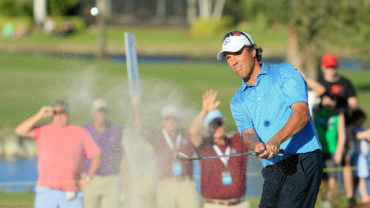 Jimenez still sits atop the Charles Schwab Cup money list, while McCarron jumped from fifth spot to second. “We have so many good players all in the top 10 that if they get hot here in the next few weeks, there’s going to be a lot of guys with a chance coming down to the Schwab Cup finals,” McCarron said. 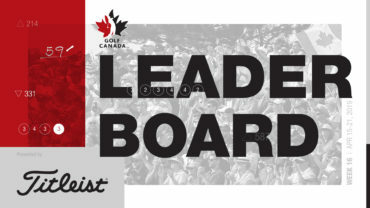 In his final PGA Tour Champions event, Rod Spittle, of Niagara Falls, Ont., finished as the top Canadian in a six-way tie for 17th spot at 6 under after a round of 1-under 69. Vancouver’s Stephen Ames carded a round of 69 while Calgary’s Steve Blake had a 71 to finish well back of the leaders at 2 over and 8 over, respectively.